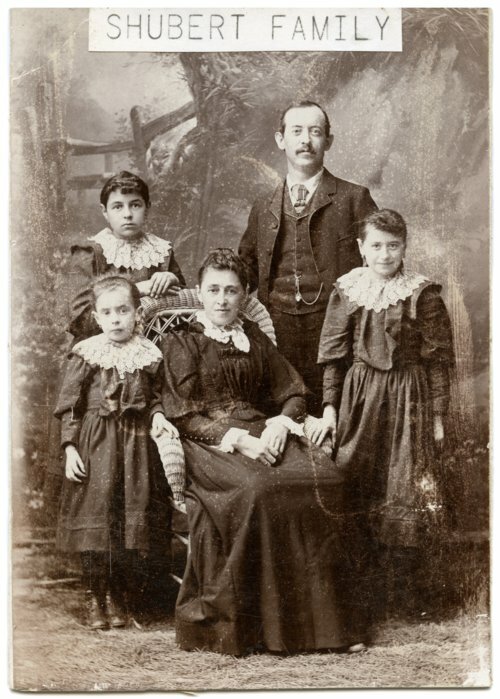 Studio portrait of the family of Carl and Barbara Schubert of Alma, Kansas. Both immigrated to the United States from Austria. Carl had been a stowaway on a ship. When he lived in Alma, Carl was a machinist and operated a shop at 401 Missouri Street.